Still haven’t updated to your iPhone (or your iPad, or iPod Touch) to the latest version of Apple’s mobile iOS software? Yes, I know you’re out there—and don’t worry, you’re not the only one. The good news is that it’s not too late to get started—and in fact, you’ll probably have a smoother update process than those of us who rushed to update our iDevices on Day One. Now that we’ve established that yes, you can still update your iPhone or iPad, you might still be asking … why would you want to? The entire update process may take an hour or longer, depending on how much media you’ve got on your iPhone, iPad, or iPod Touch, but trust me—updating your device to iOS 5 is worth the effort. Note: older devices like the original iPhone, the iPhone 3G, and the first- and second-generation iPod Touches don’t support iOS 5. Sorry, folks. 2. Next, launch iTunes, find your sync cable (the white one, which came in the box with your device) and use it to connect your iPhone, iPad, or iPod Touch to iTunes. 4. After you’ve accepted the iOS 5 user agreement, click the Sync button in the bottom-right corner of the iTunes interface. By syncing your device with iTunes one more time, you’re creating a fresh backup of your handset’s settings and data—a safeguard in case something goes wrong (like this) during the update process. Before updating to iOS 5, sync your device with iTunes one more time to create a fresh backup. 5. Once you’re done syncing, and the iOS 5 installation file has finished downloading (it’s a large file, so you might have to wait about 10 minutes or so), you’re ready to begin the update. Select your device in the left-hand column of iTunes, take a deep breath, then click the Update button. 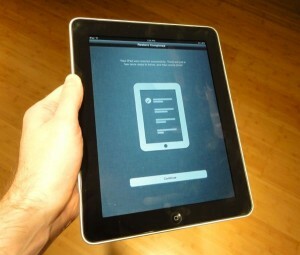 Ready to install iOS 5? Click "Update." 6. Now, time to hurry up and wait as iTunes backs up your device (again), installs the iOS 5 update, verifies that the update is working properly, and then re-installs all your apps, music, photos, and videos. Depending on how much media you had stored on your iPhone, iPad, or iPod Touch, this could be a lengthy process (as in an hour or longer), so sit back and relax. 7. Eventually, a message will appear that reads “Your iPhone [or iPad, or iPod Touch] has been restored to its factory settings, and is restarting.” This is normal; just click the OK button to dismiss the message, or wait for it to disappear automatically. And get comfortable—you’ve still got a bit of a wait. 8. Once iTunes is finished syncing all your media back to your device, the progress window will disappear and the you’ll see the Apple logo sitting by itself in the main iTunes display. Go ahead and disconnect your iPhone, iPad, or iPod Touch from its sync cable, and wake it up. 9. You’ll be greeted by a welcome screen that reads: “Your [device] was restored successfully. There are just a few more steps to follow, and then you’re done!” Tap the Continue button, and you’ll be guided through a series of settings, ranging from enabling location services (handy for letting your device pinpoint your location in Maps) to connecting to your home Wi-Fi network. 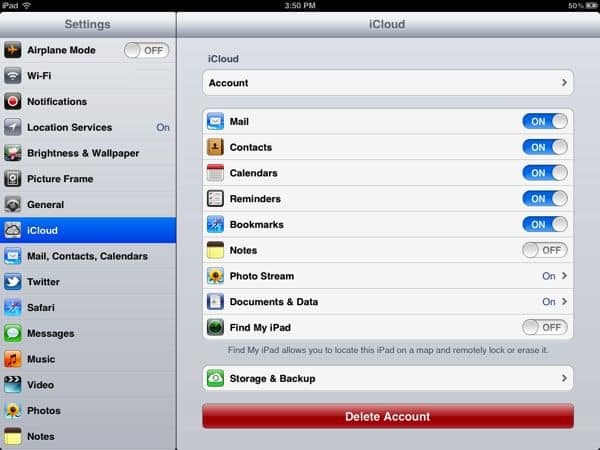 You can create a new iCloud account directly from your iPhone, iPad, or iPod Touch. 11. All done? Tap the “Start using iPad” button, then tap Settings, iCloud, and sign in to your new iCloud account. 12. Once you accept the iCloud user agreement, you can start turning on services that will be synced with iCloud, such as your contacts, calendars, bookmarks, notes, and photos (via Photo Stream). 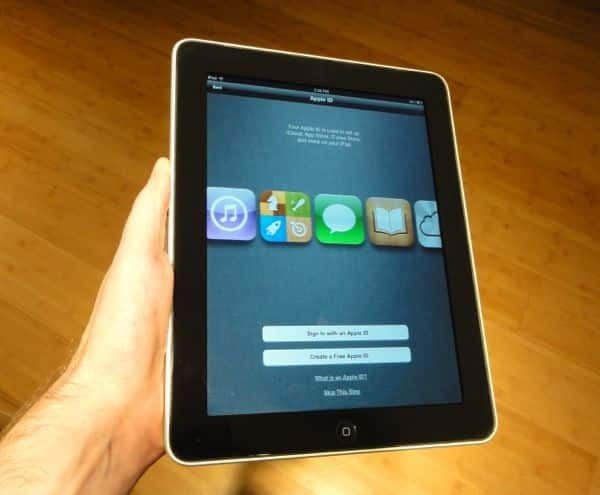 Thanks to iOS 5 and iCloud, you can share contacts, calendars, photos, and other data with your other iCloud-connected devices. 13. Now, want to share the data on your iDevice with your Mac or PC? Go ahead and click the iCloud icon in the System Preferences panel on your Mac (just click the Apple menu, select System Preferences, the iCloud) or fire up the iCloud Control Panel on your PC, sign in to your iCloud account, and select the data (such as calendars, bookmakers, and contacts) that you’d like to share between devices. 14. 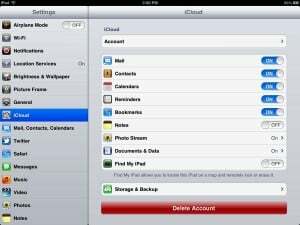 Last but not least, I strongly suggest you turn on iCloud Backup, which automatically backs up your device whenever it’s plugged in to a power source and asleep. Just tap Settings, iCloud, Storage & Backup, then switch iCloud Backup to On. And in case you ever need to restore your iPhone or iPad using iCloud Backup, here’s how. Still have questions about iOS 5 and iCloud? Let me know!